So said Jeffery Nichols (www.nicholsongold.com) in edited excerpts from his recent address* to the China Gold & Precious Metals Summit in Shanghai, China. Lorimer Wilson, editor of www.FinancialArticleSummariesToday.com (A site for sore eyes and inquisitive minds) and www.munKNEE.com (Your Key to Making Money!) edited ([ ]), abridged (…) and reformatted (some sub-titles and bold/italics emphases) portions of the speech to ensure a fast and easy read. The author’s views and conclusions are unaltered and no personal comments have been included to maintain the integrity of the original article. Please note that this paragraph must be included in any article re-posting to avoid copyright infringement. Big corrections – such as the decline from the September 6th all-time record high near $1,924 an ounce to the recent low near $1,550 (a decline of nearly 20 percent) – will lead many investors, analysts, and pundits to declare the death of gold . . . or, at least, the death of the bull market we have enjoyed over the past dozen years yet, historically, a gold-price decline of 20 percent is not so unusual. At the time of the Lehman bankruptcy in 2008, gold fell by more than 20 percent and was slow to recover – but recover it did and, in the 1970s, gold corrected several times by 15 to 20 percent and once by considerably more – all in the midst of a great bull market. Moreover, although the U.S. dollar-denominated price of gold is well off its historic high, when valued in most other currencies, the metal’s price remains near its record highs. Let me quickly list the gold’s bullish building blocks and then I’ll discuss a few of these bullish factors, in somewhat more detail. You will notice that many of these factors are interrelated – but it is easier, for the sake of this discussion, to think of them as separate and distinct. world gold-mine production, although growing, will not keep pace with the expected growth in global gold demand. Even a rash of new mine discoveries would take five to 10 years – or more – to contribute significantly to supply . . . and, meanwhile, existing resources are being depleted, nationalized by unfriendly governments who tend not to be good mine operators, or are simply mined out. Together the [above] 12 bullish building blocks have resulted in a notional gap between world supply and aggregate demand – a gap that has been and will be closed only by high and [ever] rising prices in the years ahead. Let’s look more closely at some of these bullish factors . . . and let’s begin at the epicenter of the world’s economic earthquake – Washington D.C. The U.S. economy still faces significant and painful consequences from its many years [of] profligacy, years in which both the government and private sectors simply spent more than [they] could afford, on things [they] didn’t need, and, worst of all, with money [they] didn’t have. Now we are [all] paying the piper – and it will be years before the massive overhang of public and private debt is no longer a heavy burden on the economy. As a result, the U.S. economy is in the midst of a persistent and prolonged recession – a long-lasting slowdown that is not fully reflected in the official government statistics, not fully recognized by the most-widely quoted mainstream economists, and not likely to go away anytime soon. Despite a recent pickup in consumer spending, improving employment indicators, and wishful thinking from the White House and many economic forecasters, the U.S. economy remains in the midst of a persistent and prolonged recession or worse. Normally, a recessionary economy would be countered by aggressive short-term fiscal stimulus – with more government spending and less taxation – to give a temporary counter-recessionary boost to aggregate demand but fiscal policy is moving in the opposite direction – and is likely to continue in the wrong direction, making a lasting economic revival even less likely anytime soon. Webmaster partnership in www.munKNEE.com is available! The U.S. federal government came close to shutting down a few months ago when it bumped up against its mandated borrowing limit. It is likely that we will see a replay sometime next year as federal borrowing again nears the debt ceiling and as the 2012 federal budget debate demonstrates Washington’s inability to put partisanship aside and deal sensibly with the country’s economic problems. America’s inability to get its fiscal house in order will, sooner or later, result in a resumption of the U.S. dollar’s long-term downtrend . . . and renewed appreciation of the dollar-denominated gold price. With America’s fiscal policy in disarray, it will again fall upon monetary policy and the Federal Reserve to counter recessionary business conditions – especially persistently high unemployment – without aggravating inflation expectations. So far, the Fed’s key inflation indicator – the so-called “core” inflation rate (which excludes food and energy, as if these items are not part of every family’s budget) – has been subdued by a weak economy but, sooner or later, just as night follows day, the years of unprecedented U.S. and global money-supply growth, must result in higher prices and accelerating inflation. No matter how hard it tries, [however,] the Fed can’t succeed on its own. Without significant and meaningful U.S. fiscal reform – with believable long-term spending and revenue targets – the dollar’s role as the preeminent official reserve asset will likely continue to diminish. Even without well-conceived long-term fiscal reform, the austerity demanded by domestic and world financial markets (what some have called the “bond-market vigilantes”) will come in dribs and drabs – a tax increase here, a spending cut there – but however it comes it will impose significant fiscal drag on an already teetering economy. To counter a deteriorating economy and offset the negative effects of fiscal tightening, the Federal Reserve, for all its talk to the contrary, will be compelled to step even harder on the monetary accelerator, with another round of quantitative easing very likely early next year – with implications for future inflation, the U.S. dollar exchange rate, and the price of gold. In my view, any further weakening of business conditions in the United States will prove to be very bullish news for gold. This is because the Fed is much more likely to pursue an aggressive “easy-money” monetary policy – by printing more money, more quickly, and in bigger quantities – than would be the case in an economy already on the road to recovery. Although they would never say so, the Federal Reserve and U.S. Treasury may be quite happy to see a weaker dollar and somewhat higher price inflation. Why? Because a few years of higher inflation, an invisible tax, would reduce the real value of America’s debt as a percentage of nominal GDP, and bring this ratio (the debt-to-GDP ratio) back down to historically acceptable norms. Right or wrong, conventional economic theory says a weaker dollar would stimulate the U.S. economy through an improving trade balance. As U.S. policymakers fiddle, a number of European countries with their economic backs to the wall – including Greece, Ireland, Portugal, Spain, and most recently Italy – are slashing government spending and raising taxes at great social and political cost, hoping to avoid insolvency and default on their sovereign debt. Unfortunately, as in the United States, the fiscal restraint demanded of these countries is the wrong medicine – and is more likely to kill the patient than cure the disease. Despite the best of intentions, government revenues are falling as these countries fall deeper and deeper into recession. Instead of increasing access to credit, the financial situation of these countries continues to deteriorate . . . and capital markets are demanding higher interest rates to refinance maturing sovereign debt – so much so that the costs are becoming unbearable and are putting these countries deeper in the hole. As we are now beginning to see, [however,] there is only so much “belt tightening” that electorates in these countries will accept. Sooner or later, newly elected governments will likely reverse course, opting for less austerity in favor of more stimulative fiscal initiatives. [Indeed,] Europe’s deteriorating economic performance is already forcing the European Central Bank to pursue more accommodative monetary policies. The widening disparity between the stronger “core” economies (led by Germany and France) and the weaker “periphery” countries will further threaten the viability of Europe’s common currency, the euro. Safe-haven capital flight from the questionable euro into both the U.S. dollar and gold has, thus far favored the dollar – masking the greenback’s inherent weakness and, counter intuitively, contributed to the yellow metal’s retreat from its early September peak. Any efforts to save the bankrupt periphery economies, as we have seen over and over again, will continue to be too little, too late . . . and, at best, will only postpone the ultimate day of reckoning. [Why? Because] what is missing is a shared sense of common statehood such as we enjoy in the United States. Americans are, first and foremost, Americans – not New Yorkers, Floridians, or Californians but Germans are Germans and Greeks are Greeks. They just don’t see themselves as Europeans first – and Germans just don’t see why they should work hard to bail out the Greeks or the Italians who, they say, don’t work hard enough, retire too early, and have it too easy. Moreover, the disparity between inflation rates, economic productivity, and international competitiveness that separates the poorer periphery nations from the wealthier core economies is a gap that will prove too wide to bridge with a single currency. Europe’s weaker economies are simply not competitive versus their stronger northern neighbors. In the days before a single currency, countries could regain their competitiveness by depreciating their own currencies – but, with a single shared currency, this is no longer an option for individual members, each lacking their own currency and exchange rate policy. The only thing now holding the European single currency monetary system together is the high cost of divorce – and the seeming impossibility of managing a break-up. Even if the euro somehow survives, its role as a reserve asset has been badly damaged, further enhancing the appeal of gold to central bank reserve managers skeptical about accumulating more euro-denominated reserve assets. A tarnished euro, periodic funding crises, and fears of a eurozone break-up will benefit gold in the months ahead – even if the lion’s share of scared money finds a safe haven and shelter from financial uncertainty in U.S. Treasury securities and other dollar-denominated assets. To sum up the economic situation: I don’t think either the United States or European economies are heading toward total collapse. Instead, we will muddle through with several years of sub-par economic activity, high unemployment, and rising inflation. No discussion of gold is complete without reporting on China’s importance and profound influence on the world market and the metal’s price. Ever since the legalization of private gold investment and the gradual liberalization of the market beginning in 2002, China’s appetite for gold has been growing by leaps and bounds…as a result of the government’s liberalization of the domestic market, its encouragement of private gold investment, and the development of new investment vehicles and channels of distribution. Rapid growth in household incomes, an expanding middle class, and rising wealth have also been important, contributing to the growth in gold demand for jewelry as well as for personal savings and investment. In recent years, China’s central bank, the People’s Bank of China (PBOC), has also been a significant buyer…[having] revealed back in 2009 that it had bought some 454 tons of gold over the preceding six years, an average of about 75 tons per year. Since then there has been no hard evidence of additional buying . . . but my guess is that the Chinese central bank continues to buy regularly from domestic mine production and scrap refinery output – perhaps as much as 50 to 100 tons per year. For its part, the PBOC not long ago said it will “seek diversification in the management of reserve assets,” possibly implying their intention to accumulate gold without actually saying so. As a result of China’s sizable appetite for gold, it has become a powerful driving force in the world gold market – and its influence on the future price of gold is likely to continue, if not grow, in the next few years reflecting demographics, economic growth, rising personal incomes, episodes of worrisome inflation, the continuing development of the domestic gold-market infrastructure, and, importantly, central bank reserve diversification. India has historically been a very price-sensitive market for precious metals. Typically, gold demand falls as prices rise . . . and, at higher prices, owners of gold have usually been quick to take profits, cashing in their bangles and chains, so much so that Indian gold scrap has, at times, been an important source of supply to the world market. In contrast to the historical experience, [however,] we are seeing much less price sensitivity of demand as Indian consumers have adjusted rather quickly to record high gold prices. Even with the rupee-denominated price at or near all-time highs, Indians still seem to be fairly eager buyers, suggesting a psychological re-evaluation of long-term gold-price prospects among Indian jewelry buyers and investors. Many other countries across Asia and the Mideast share a historical, cultural, and even religious affinity to gold as a traditional monetary medium for saving and investment and they, like China and India, [have shown] strong demand from both households and central banks…as well. Longer term, as many of these countries prosper and as their share of global income and wealth continues to increase, they will demand a growing share of the world’s above-ground stock of gold for jewelry, for investment, and for additions to central bank reserves. Importantly, much of the gold bought by these countries will probably never come back to the world market, at least not for many years to come and only at much higher price levels or if political and economic developments prompt distress sales, something we will not likely see in the next few years. For now, the U.S. dollar remains the number one world trade and official reserve currency by default. There is simply nothing ready to take its place – certainly not Europe’s single currency, the euro. That said, a recent survey of central bank reserve managers predicted that the most significant change in their official reserve holdings in the next 10 years will be their intentional build-up in gold. I believe we are moving gradually toward a multi-currency system where an array of national currencies (including the Chinese yuan) – possibly along with IMF Special Drawing Rights and even gold – will together function as official reserve assets and settlement currencies with much less dependence upon the U.S. dollar. Following many years of net annual sales in the 400 to 500 ton range,the official sector became a net buyer of gold in 2009. This is a “game changer” for the gold market as it represents a swing in the annual supply/demand balance of 800 to 1000 tons a year. I don’t think most market observers and participants fully appreciate just how significant this has been – and will continue to be – for the world gold market. In addition to China, the list of countries that have bought gold in the past few years is itself growing with new, surprising names joining the club – names like… Russia… India… South Korea… Saudi Arabia… Thailand… Mexico… Bolivia… Colombia… Venezuela… Bangladesh and Mauritius… Meanwhile, gold sales by the European central banks have dwindled to practically nothing, only enough to supply their bullion and commemorative coin programs. Aggregate central bank gold purchases probably exceed the official data by a wide margin. The People’s Bank of China, the Saudi Arabian Monetary Authority, and other central banks with large U.S. dollar-denominated official reserve assets have an incentive to buy gold discreetly and surreptitiously – simply because the announcement of their buying programs would likely boost the yellow metal’s price and raise these central bank’s acquisition costs. As we saw in September, after prices took a tumble, official demand responded positively. Central banks, in the aggregate, are bargain hunters, what we call “scale-down buyers” but the reverse is not true: we don’t see central bank profit-taking when prices move sharply higher. Importantly, much of the gold bought by central banks has been bought for the long term – and will likely be held not just for a few days or months or even a few years . . . but for decades or longer, even at much higher prices. As a result, central banks are now creating an upside bias to the market and are reducing the “free-float” available to meet future demand, even at much higher prices. As a consequence, we can expect less downside volatility – and a more sustainable bull market with much higher prices in the years to come. Even though more people than ever before are buying gold, participation by both retail and institutional investors in the United States and many other countries remains very low. Moreover, many investors already holding gold remain underweighted with less than optimal and prudent holdings. 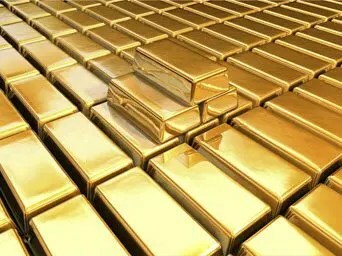 I expect participation rates will rise in the months and years ahead as more savers and investors around the world “catch the gold bug” and begin to see the virtues of gold as a reliable store of value and insurance policy against an assortment of risks to their economic and financial well-being. Contributing to increasing participation has been the introduction and growing popularity of gold exchange-traded funds (ETFs) [and notes (ETNs) – read Canadians Take Note: Own Physical Gold via Canadian Mint’s New Gold ETRs for more information] from one country to the next. Gold ETFs are gold-backed stock-market securities that track the ups and downs of the metal’s price and represent an ownership interest in actual bullion held on behalf of fund investors. As stock-market securities they attract investors for whom direct ownership of bars or coins may be too cumbersome . . . and ETFs allow some institutional investors prohibited from owning physical commodities or futures contracts a legal loophole, if you will, through which they have bought many tons of metal. On a cautionary note, gold exchange-traded funds not only allow investors to easily and quickly accumulate gold . . . these ETFs also allow investors to easily and quickly shed their gold holdings. At times, this has contributed to upside volatility with swift appreciation in the metal’s price but ETFs have also contributed to downside volatility – like the sharp correction we have suffered through in recent months. Another interesting vehicle that is raising participation, because of its appeal to some investors, is the internet purchase or trading platforms -offered by some gold retailers as well as a variety of financial-service firms – that gives buyers or retail traders direct and immediate access to the market. These investment vehicles are making gold more accessible and more mainstream to more investors around the world – and the result, in economist-speak, is a permanent upward shift in the demand curve such that the future long-term average price, stripped of cyclicality, will be much higher than the average price over the past decade or two. I believe gold’s fortunes remain very bright. To begin with, gold’s key price drivers remain supportive – and most, if not all, will continue to support the rising price for at least a few more years. Although gold-price volatility – and occasional big declines in the metal’s price – will lead many to prematurely proclaim the death of gold, I believe the bull market has plenty of life in it. My advice to gold investors is to use these sell offs, when they occur, as opportunities for scale-down buying. In my view, it is only a matter of time before we see gold break through the $2,000 [per troy] ounce level. Notwithstanding the recent sharp price decline, I wouldn’t be surprised to see gold at this level during the first half of next year . . . followed by $3,000, $4,000, and possibly even $5,000 (or still higher) in the middle to late years of this decade. 7. What Do Gold Measurements “Troy” Ounce and “Karat” Really Mean? 8. Where are We Now in the Bull Market in Gold – and How Many Years/Months are Left? Previous New Analysis Suggests a Parabolic Rise in Price of Gold to $4,380/ozt.